Want to enjoy the best of both worlds when it’s sunny? Well now you can with a Wave Shade. 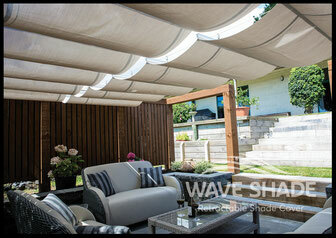 Through clever design, you can retract the Wave Shade when you want the sun and extend it to provide shade. 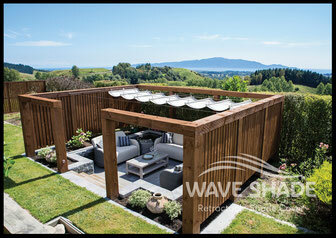 What’s more, custom-sizing ensures a perfect fit over any outdoor space, truly enhancing your outdoor living. Easy to install and operate, the stylish sails are available in a wide range of colours. 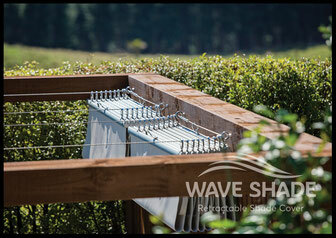 Relax and enjoy the sun on your terms when you install a Wave Shade sail.